Start out with Facebook, Instagram, and if you have time to monitor, Twitter. Or whichever one you feel is most appropriate to your target market. Be careful about making a sales pitch in every post. Modern social media marketing involves stories, personal experiences and a lot of non-sales-related content. To make sure you're able to connect with potential customers on social media, follow the 10-to-1 rule: for every 10 pieces of content that have nothing to do with sales, you can pitch your services. It really depends on your business. You don't need to be on all the social media platforms. It can be very tempting to automate postings, but it's not the best approach to generate business leads. Your updates could very well come off as spammy if you over-do it, and your brand will not excite and engage the public like it would with spontaneous, reactive posts. You also put yourself in a position to miss out on responding to each and every comment when you're not fully engaged. Social media marketing is a two-way communication rather than a tool to broadcast yourself. Twitter's TweetChats – scheduled group discussions for you and your followers – are excellent for engaging and informing customers. Use them as a forum to talk about the latest investing trends, for example. Or try posting some contests, votes or polls to create an interactive experience for your audience. Even if a reader does nothing more than write "nice post," it still deserves a response. If someone poses a question, make sure you address it as quickly as possible. Simply creating a social media strategy isn't enough – you've got to be attentive and responsive. Gone are the days of one-way, broadcast marketing – unless we're talking about TV ads, which cost more money than most businesses now budget for their advertising. Especially with social media marketing, you need to interact with the customer outside the confines of business. If someone has commented on your content, then consider it a prime opportunity to engage and connect with them – that's how future clients and leads are found on social media. Draw your own professional experiences to create content that your audience won't be able to find anywhere else. A lot of people would argue that everything has already been written about on the Internet, but that's just not true. The goal of most businesses using social media marketing is to brand themselves as references, if not experts, in their respective fields. If you're using social media to promote your content, highlighting and demonstrating your knowledge by offering free advice to your following is a great way for people to trust that you know what you're doing. YouTube might not work for you, for example, even if it does for your competitors. That's why you've got to constantly track your results, analyze them, and make appropriate adjustments to your strategy. Focus on the websites that are generating the best traffic, and eliminate the ones that aren't. There are many social media monitoring tools out there. Google Analytics is a good start. The more you know about how the effectiveness of your marketing strategies, the better you can adjust to maximize your effort. Social media marketing is all about working smart, not hard. Social media marketing is something every business should be doing. Knowing how to reach and connect with potential clients matters for your business's success. 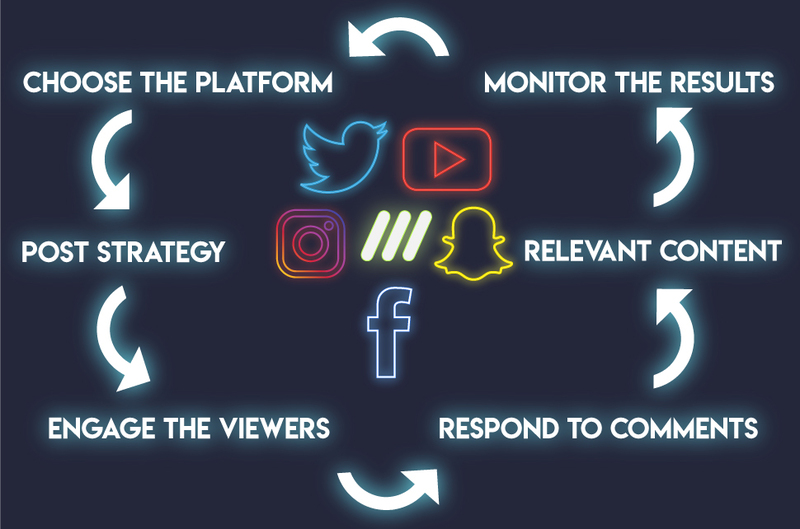 The advice to launch your marketing campaign on social media is non-exhaustive and needs to be adjusted to each platform that you choose to use for your financial advising services. But, at the heart of it lies human connection and valuable social exchanges of resources and information. Connect with your followers, and you'll see your business grow – fast. When running a campaign that gather contact details, make sure you use a CRM application to manage the information/leads.